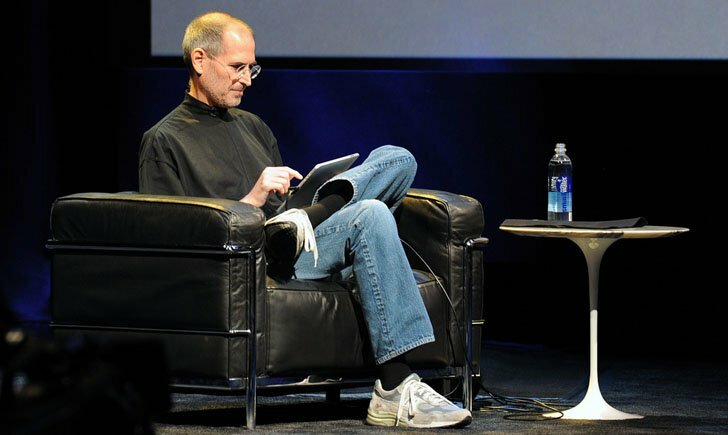 McGraw Hill CEO, Terry McGraw has paid a huge amount of credit to Steve Jobs over the launch of iBooks 2, which brought the availability of low price textbooks on the iPad. Speaking to the press after Apple’s education event yesterday, McGraw was asked a number of questions by All Things D reporter Peter Kafka. He was asked why now for digital textbooks as Apple had been talking to publishers for the last few years. Sitting and listening to all of this, I wish Steve Jobs was here. I was with him in June this past year, and we were talking about some of the benchmarks, and some of the things that we were trying to do together. He should be here. He probably is [gesturing up and around]. This was his vision, this was his idea, and it all had to do with the iPad. Kafka also asked him if McGraw-Hill had any plans to replicate the program with Google and other platforms too. We’ll do whatever we can to make this the most meaningful space. And the person, or, well, Steve Jobs and Apple, have done more, in terms of creating this personalized learning platform than anyone. So there you go, if there was any doubt about who was behind the idea of bringing affordable textbooks to the iPad, now we know for sure!